CasinoBonusNews → Casinos → "GoWild Casino"
Go Wild Casino may be the place to let out all of your party instincts. This casino wants you to go a little crazy, but provides a safe and secure environment to do it in. This online casino also wants to give players a taste of the wild side of being a gambler by giving new players an excellent welcome promotional package and returning players new ways to explore the games by giving them extras and bonuses that are sure to keep all players focused on the prize. It is possible to go a bit wild in this virtual casino without stretching the real-world budget. Just follow the bonuses as they become available. The first stop on the journey of bonuses in the Go Wild Casino should be the welcome package offered to all players when they sign up. This package evolves over the course of the player’s first three deposits, the first of which is a 100 percent matching bonus plus 50 free spins on the Thunderstruck II slot machine. There is a play through requirement of 50 times the bonus plus the deposit, and once that has either been played through or the player’s balance is zero, he or she can move on to the second deposit bonus. This includes a 50 percent bonus and 50 free spins on the machine called Tomb Raider-Secret of the Sword. Again, after the player either plays through the requirements or ends with a zero balance in the real-money account, that player can try their luck on the third deposit bonus. This is a 70 percent bonus on their deposit plus 50 free spins on the slot machine Avalon. Then, they player will be invited to a $350 freeroll tournament for Thunderstruck II as well as unlocking promotions only available for returning players, like the Wednesday Deluxe free spin special among others. There is more to Go Wild than its slot machines, although a slot fanatic can find plenty of them to occupy his time. Looking past the traditional slot machines, though, players can find around-the-clock tournaments to enter, progressive jackpots on some slot machines and multiplayer slots, where gamblers can not only spin to win, but can chat with fellow players around the world and share their fortunes and miseries with each other. 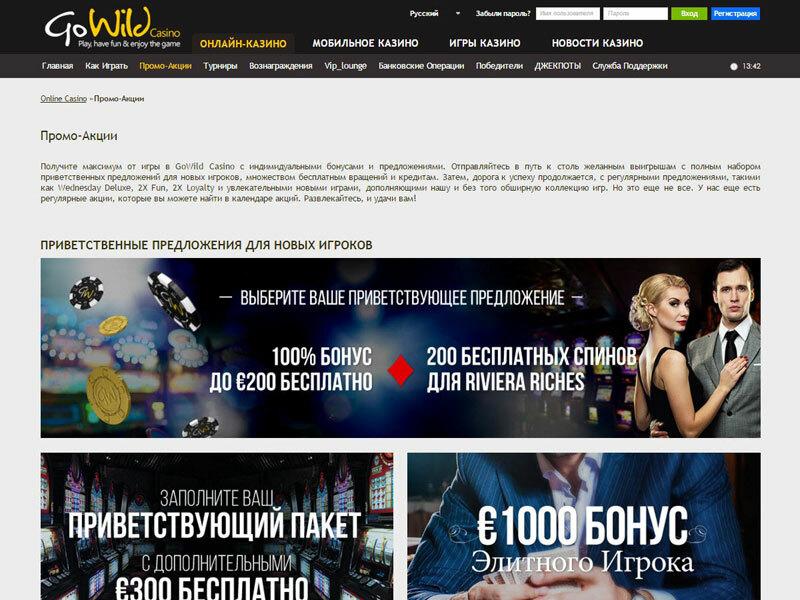 Or, players can chat in real-time with live table dealers, since Go Wild Casino is one of the first online casinos to incorporate Microgaming’s new live table feature. The casino even has a mobile version, so that gamers with smart phones or tablets can enjoy the casino on the go. 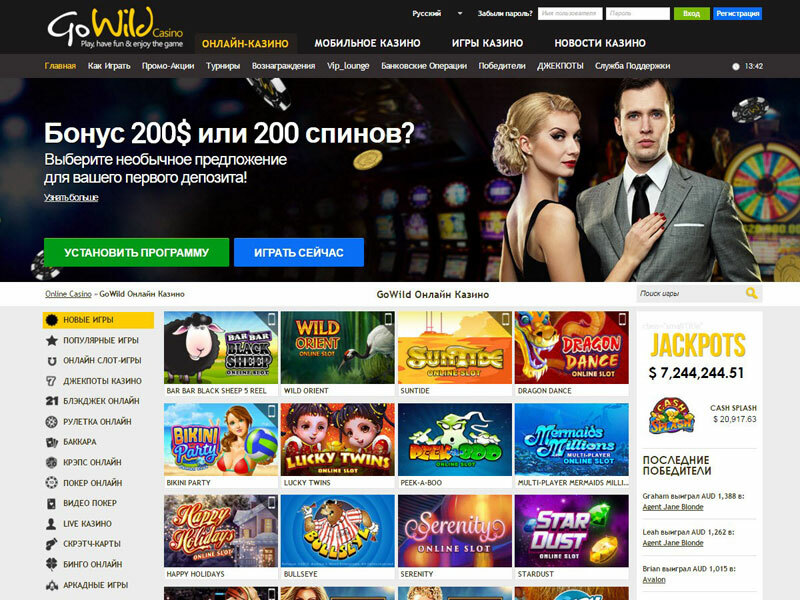 Go Wild Casino is able to keep up with all these features because of their solid foundation of site security for its customers. 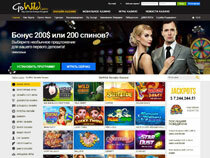 As with all Microgaming Casinos, Go Wild is reviewed by eCogra for site security and for fairness within its software. The site itself uses SSL encryption to keep both the casino’s and the players’ information private. If the player still has questions after reading through the Web site’s articles on security and privacy, he can contact the site’s 24 hour technical support. The help desk staff are available through the site’s live chat box, via telephone, email or even snail mail. The casino accepts deposits made in the following currencies: U.S. dollars, Canadian Dollars, Australian dollars, pounds and euros. It is worth noting that Go Wild does not accept players residing within the U.S. There is an impressive list of banking options available, and while not all options will be open to players from all countries, all players will have more than one deposit option open to them. The list includes credit cards, debit cards, ECO cards, Skrill, NETeller, Click2Pay, EntroPay, direct wire transfers and ClickandBuy. The casino attempts to award withdrawals using the same method that the player used to deposit funds with, but will offer alternatives if the player’s chosen banking option isn’t available.